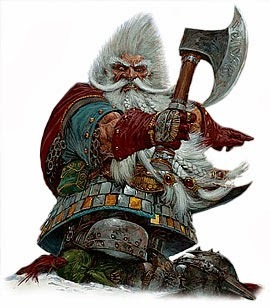 The dwarven ability of smelling gold and gems is one of the most simple but flavor ideas for a d20 fantasy race in a long time and one of the many reasons why I think DCCRPG rocks. It’s not only original (with a mythic feeling) but totally unworried with game balance issues (like the excellent poison immunity of D&D Next dwarves; this trait does provided various interesting consequences in regard to dwarven society, from cuisine to social relations with other races… a pity it didn’t survived the “playtest”). Talk to Burrowing Animals and Beasts: simple and can provide ample roleplay opportunities. Maybe I should include earth elementals (although I’m afraid this could be really unbalanced… if you doubt, go read DCCRPG’s The People of the Pit). Smell Dweomers and Spellslingers: the dwarf can “smell” the presence of the various types of spells, incantations and cantraps. He can also “smell” the chaotic miasma usually surrounding spellslingers (the more corrupt the caster, the strongest the odor). Icon magic (i.e. clerics) doesn’t smell. Language of Doors and Portals: the dwarf can “talk” with doors, gates, portcullis and similar structures. This thing can either work like Tolkenian dwarves and their “secret door spells”, like a knock spell (ignoring corruption) or in a weirder fashion, where the dwarves really must talk, cajole or threaten doors and portals (a Personality or Luck check maybe). I’m running my first Dungeon Crawl Classics RPG via Google Hangout. I became a fan of DCCRPG during their Beta open tests due to the amazing art and tone; the fact that the rules are fun and engaging is just a bonus. 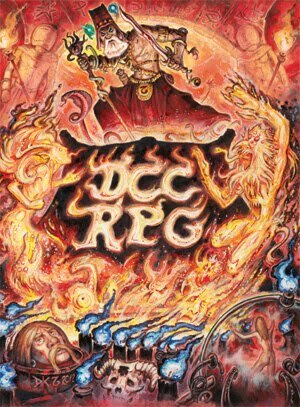 DCCRPG is the perfect game for me right now, because it isn’t so “dry” as OD&D or other retroclones (my players are all “D&D 3rd generation”) and not as complex as Pathfinder (or Fantasy Craft). The rules for 0-level PCs and the Funnel are also sadistically fun to run. It’s the kind of game that I can easily play via Hangout (Savage Worlds and FATE, for example, are better run while using physical components, like cards and chips). I supplement our online games with Roll20 and the Purple Sorcerer. 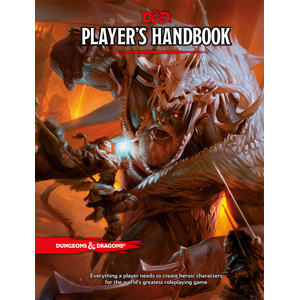 Finally, the major selling point of DCCRPG are the adventures – they’re short, fun, direct to the point and very easy to adapt. For a 2-hour session I believe they represent the perfect sweet spot. The first adventure we played through was “The Portal Under the Stars”, from the DCCRPG Rulebook. I had 3 players running 12 0-level characters. It was a blood bath, with plenty of hilarious moments and lots of tension. The PCs managed to reach the room of the demon snake, finish here, before deciding to get the hell out of there. Ah, on the way out they also managed to break the magic statue’s arm (plunder!). The high point of the adventure – for D&D 3rd players like them – was using their dead comrades’ corpses to activate potential traps (ah… Old School gameplay, how can you not love it?). 2-hours of delving resulted in 9 deaths. A few weeks ago, we started “Sailors of the Starless Sea”. Its events are happening one year after the Portal under the Stars. 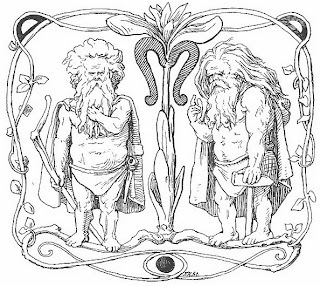 Our 3 surviving PCs (a warrior, a wizard and a halfling) recruited 12 fools from their home village and went to sack the forbidden ruins described in that module (but not before being exiled from town by the local ruling council on numerous charges, like “consorting with Chaotic forces”, “disturbance of the peace”, “illegal abandon of Guild duties”, “illegitimate conscription of lawful citizens” etc.). And so we started “Sailors”. After surviving the vine horrors at the road, the party decided to avoid the ruined keep’s gate and went to investigate the walls. While engaged in such recon, they met with a few beastmen and their new prisoners (0-level PCs of our new player). After a fight and a few casualties, the now 19-strong company delved in the chaos fortress through a recent breach in the wall (caused in part by the group’s unsafe meddlings). Built below the wall, they found the mausoleum of one of the chaos champions, but were driven off by supernatural cold. Inside the courtyard they found the awful well of souls. At this point I took advantage of DCCRPG’s fresh approach to monsters and used Raggi’s famous Random Esoteric Creature Generator. This book is a wonderful resource for creating really weird and unexpected creatures. By following its tables I created “The Thing from the Pit”, a giant extraplanar levitating reptilian horror that inhabited the well of souls. The monster, as rolled, was pretty strong (6 HD) for a 0- and 1st-level group, so I was expecting a general retreat after a few deaths. To my surprise, the party’s 0-level shaman managed to roll a natural 20 on his “supplication skill” check. The Thing from the Pit was so happy with this proper homage that let the party go, but not before “blessing” the fool human supplicant (I rolled the major corruption table). I’m now excited to see this 0-level PC turning into the group’s preeminent chaotic Cleric. DCCRPG Funnel rocks! We finished our third session just after the party defeated the keep’s minotaur champion and found some prisoners. After that, they decided to retreat and fight another day. My players so far are loving the body-count aspect of DCCRPG and the radically different feel of their characters. They aren’t heroes trying to save the world or vanilla adventurers, but scoundrels looking for gold, glory and dark secrets. Most of the PCs look like brigands or mercenaries, with the remaining are heretics and dark arcanists. After all, that the party’s only wizard learned his craft from Azi Dahaka, Demon Prince of Storms and Wastelands (thanks to a certain demon snake’s magic horn from the Portal Under the Stars) and the aforementioned 0-level shaman is now “officially” blessed by the Chaotic Powers and has cloven hoofs. Init -2; Atk bite +4 melee (2d6); AC 19; HD 6d6+6; MV 50’ (levitating); Act 1d20; SP infravision 60’, spikes (1d6 + 3 Agility drain); SV Fort +6, Ref -2, Will +4; AL C.
This humanoid creature is approximately 9 ft. tall, with a demonic avian horned head and striped scales (of sable and ivory-like coloration) covering its body. Its eyes are beautiful night-like pits, where strange stars and constellations can be seen. The Thing from the Pit has retractable spines covering his entire rock-hard epidermis, which seems to be constantly drenched in ooze-like pulsating blood. Creatures attacking the Thing at close range suffer 1d6 of damage per attack from its spikes and lose 3 points of Agility from its poisonous ooze-like blood (character using spears and polearms don’t suffer damage). The Thing from the Pit attacks preferably Lawful spirits and untainted humans. It will spare chaos spawn and servants of the Chaotic Powers, if properly placated. Spikes (Ex): The Thing from the Pit has numerous iron-like spikes protuberating from its body (like porcupine). Attacks using melee weapons without reach (or natural weapons) that hit the Thing also deal 1d8 points of piercing damage to the attacker (besides poisoning them, see below). Poisonous ooze (Ex) spikes and oozing skin — contact; save Fort DC 18, frequency 1/round for 6 rounds, effect 1d4 Con, cure 2 consecutive saves. 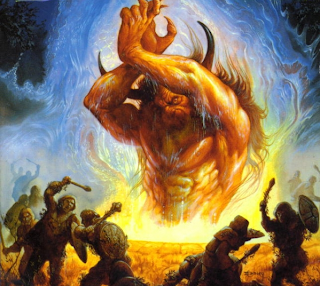 True Seeing (Su) The Thing from the Pit constantly sees the supernal and nether realms of reality, including the petty dweomers employed by mortals. Treat this as a constant true seeing with a caster level of 20. Chaotic benediction (Su) The Thing from the Pit can “bless” with chaotic essence one willing Humanoid (just once per creature). The “anointed” gains a sign of the Abyss (check here, here or here) and also a random power: either a bonus feat accessible at 1-5th levels, a universal monster ability or attack (from a CR 5 or less creature), a 1-5rd arcane spell (1d3 times per day) or a 1-3rd divine spells (once per day) are my suggestions. The Thing from the Pit is an emissary of the Abyss or probably the result of a botched summon or binding spell. It’s not a fully living thing or independent spirit, but just the extension of something much bigger, vaster and older – either a demon lord or the Abyss itself. Everything that it sees or experiences is also registered by its master. The Thing from the Pit can be seen as merely a more powerful version of arcane eye. One of the proofs of the Thing’s uncanny origins is its chaotic benediction, which allows the creature to “bless” and empowers a willing Chaotic humanoid. Although the process doesn’t affect the creature’s will, many sage believe this “blessed” individuals are now new “sensory channels” for the Thing’s mysterious abyssal lord.